Valve holder, mounting type micro valve selectable cylinder or thread! The holding plate has semicircular cutouts for engaging in the micro valves. The applicationspecific transition seal for the fluid supply is designed as a molded part. 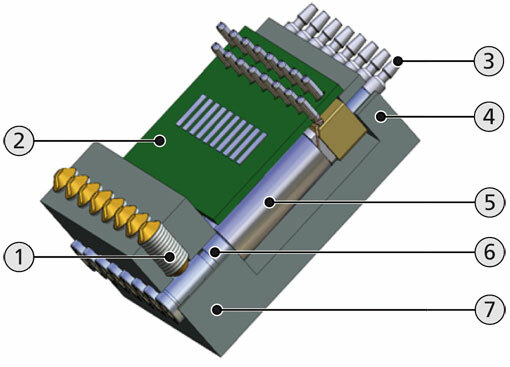 These fastening types are especially suited if the micro valve screening has to be as tight as possible, as it does, for example, in a print head. 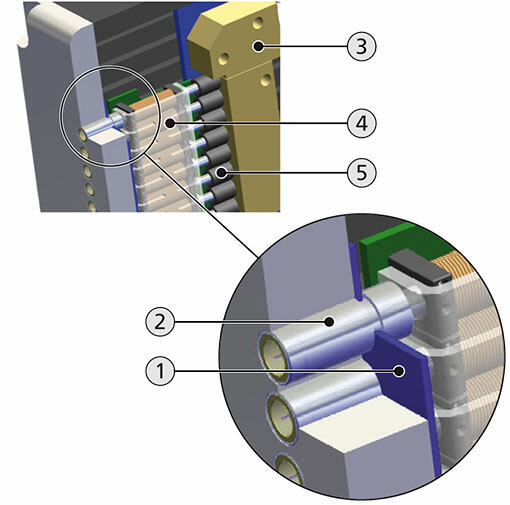 The clamping screw fixes the micro valve in the receptacle of the valve holder. The valve support protects the micro valve (tube connection inlet) when connecting the tube supply line. This fastening type is especially suited when the micro valves should be as easy to exchange as possible. 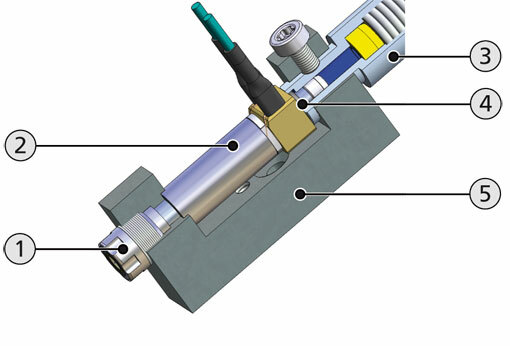 The micro valve can be exchanged quickly and without dismantling the entire valve holder and without disconnecting the electric connections. Ideally, this fastening type can be combined with our valve holders. Our valve holder concept covers the needs of a wide variety of applications and will convince you with its easy handling. The assortment of the valve holders varies on the connectors and depends on the requirements of the customers. Please give us your application; we are pleased to recommend you the compatible valve holder. The assembling of the valve holder takes a few easy steps. 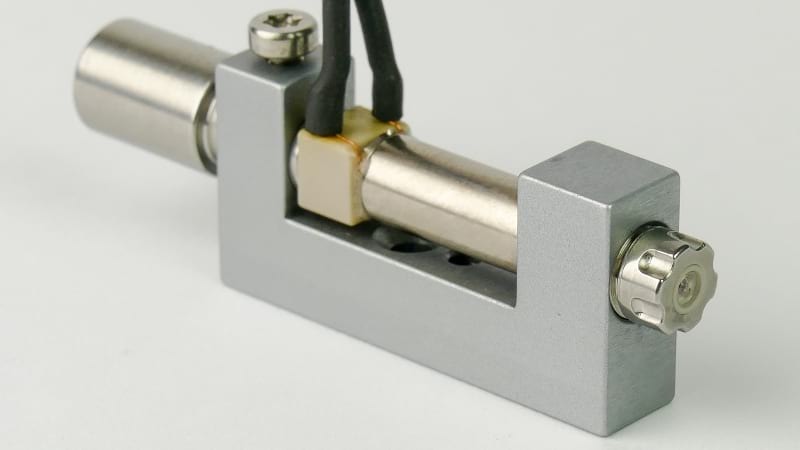 The change of a micro solenoid valve can be done fast without disassembling the whole valve holder. The mounting of the valve holder in an existing system or machine can be done in 2 different ways. It doas no matter, if the choice was for a SMLD 300 or SMLD 300G. Both holders are mounted at the same height and the dosing goes off the same position.